The Twin Falls County Fair is the premier fair of Southern Idaho and has been committed to providing a positive enjoyable experience, while maintaining traditional values with emphasis on youth and agriculture for over 100 years. I was the developer of the Twin Falls County Fair website from 2013-2017. In that time we went through several design changes and UI/UX improvements. 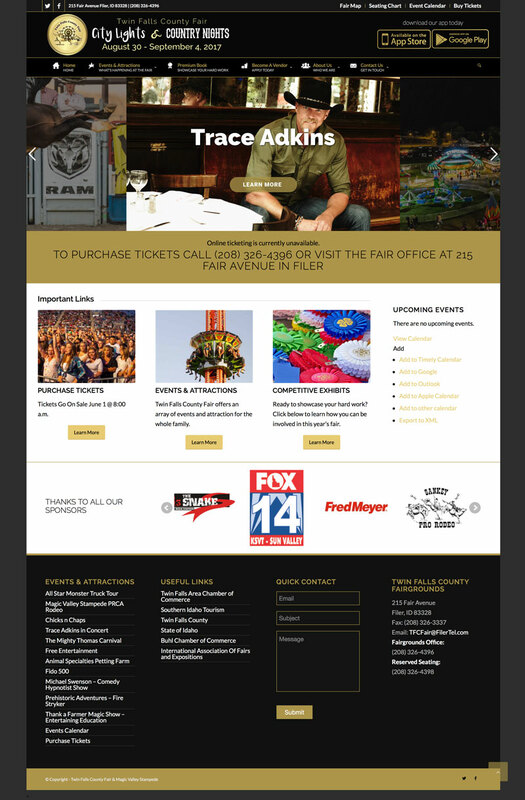 The site redesign won the 2016 Communications Award for Most Outstanding Desktop Website for Fairs Under 100,000 from The International Association of Fairs and Expositions.